This K&M Double Light is made out of durable steel and comes in black. 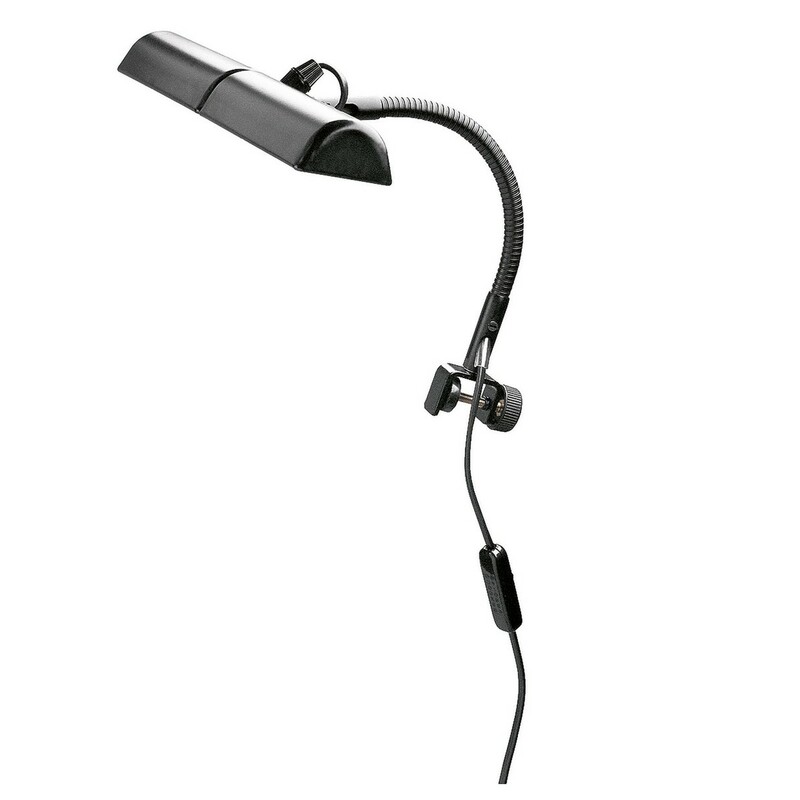 A gooseneck mechanism allows players to adjust the light precisely to fit their needs. The light attaches to a music stand for visibility all through the day. Featuring a two meter electrical cable with an on/off switch and Euro-style plug, this K&M light is for indoor use only. Two tubular bulbs are included with this light and use a maximum rating of 25 watts.